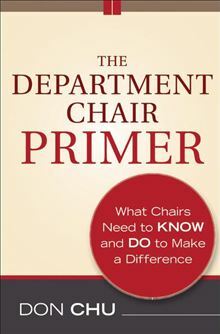 The Department Chair Primer provides the practical information that chairs need to do their jobs well. Many of the book's ideas come from practicing chairs and are proven strategies for dealing with a variety of issues. Each chapter details a particular problem, includes a brief introduction to the topic, provides tips on how to deal with the situation, and concludes with targeted questions for further consideration. Its concise format is ideal for busy chairs which need a brief but informative resource. The second edition has been revised to reflect new pressures and challenges in higher education and the increasing importance of department chairs in responding to them. (Review taken from the Jossey-Bass Department Chair Leadership Institute website).